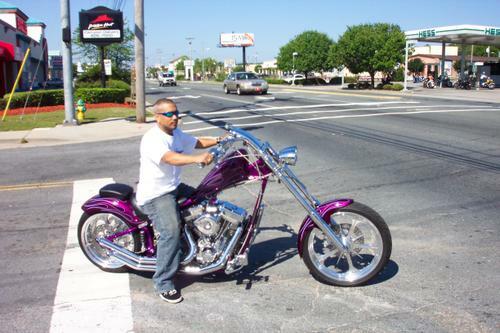 On my bike in Myrtle Beach, picture taken by my wife. 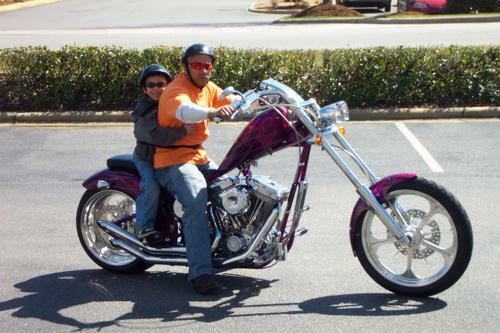 My son Reno and I cruzin South Carolina. Nice Bike, did you build it yourself?